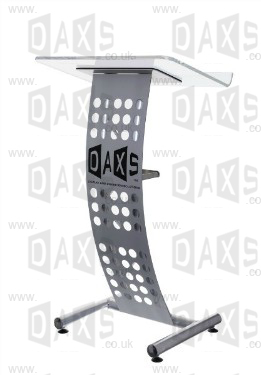 DAXS specialises in providing portable display equipment, lecterns, and modular exhibition stands, together with large format printed graphics - for both indoor and outdoor use at exhibitions, trade shows, seminars, conferences, and for POP / POS applications. We supply a broad spectrum of schools and colleges, government departments, churches, public and private companies, and individuals throughout the UK - with our own designed products and equipment from other leading international manufacturers. If you can't find exactly what you're after, please call and we'll do our best to identify and source the right product for your needs. 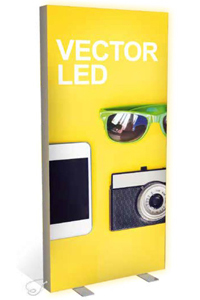 Click for details of this and other great value special offers currently available on literature stands, display boards, banner stands and other popular items. 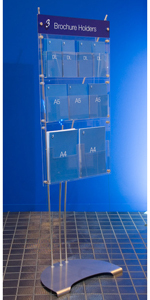 Customisable contemporary lecterns and pulpits in acrylic and aluminium for conferences and events, churches or boardrooms. 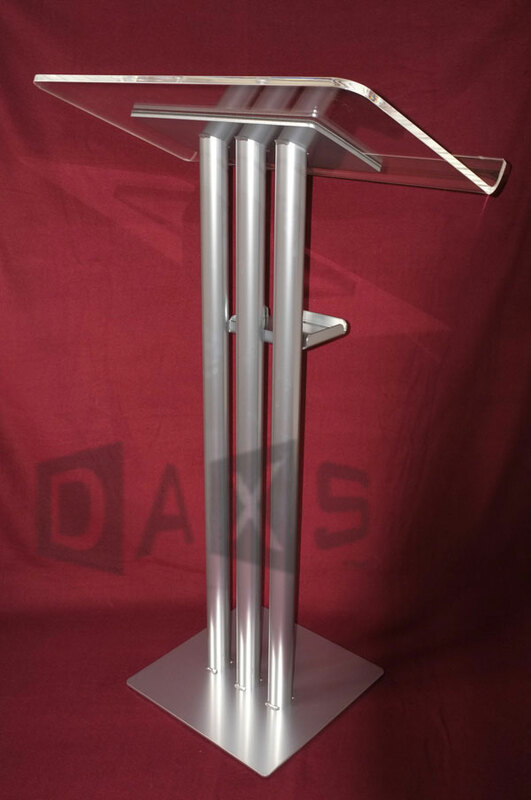 Click the image for a 360 degree view of the lectern - shown here in silver powder coated finish, with a brushed aluminium-effect acrylic front. For further details, click here to see Metal Lecterns.